Garden Living kitchens are fabricated using highly-engineered, 100% weather durable materials starting from the ground up. Every GL outdoor kitchen begins with a heavy duty extruded aluminum framing system tailored custom just for your kitchen. 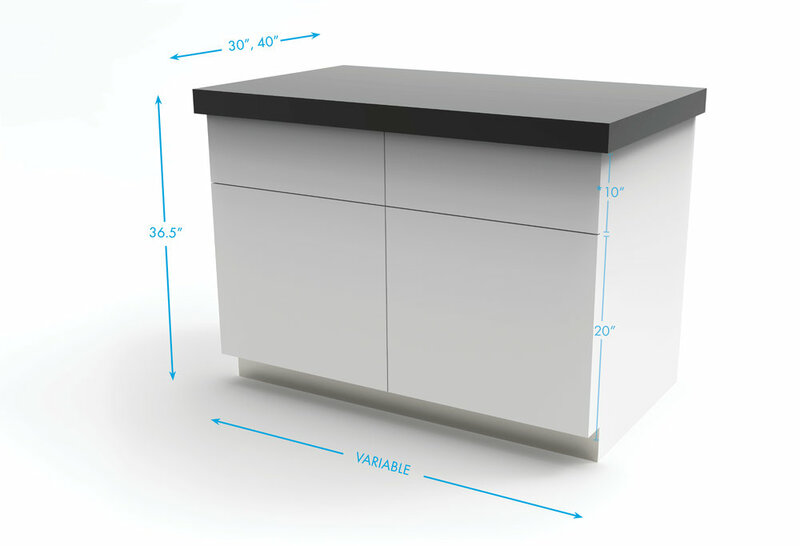 Configure any length of kitchen with the option of 30"D cabinets for standard equipment and 40"D cabinets for specialty equipment or added seating. Your kitchen layout is limited only by your imagination - here are three basic configurations to build around. Garden Living kitchens come standard with heavy-duty commercial-grade leveling feet. 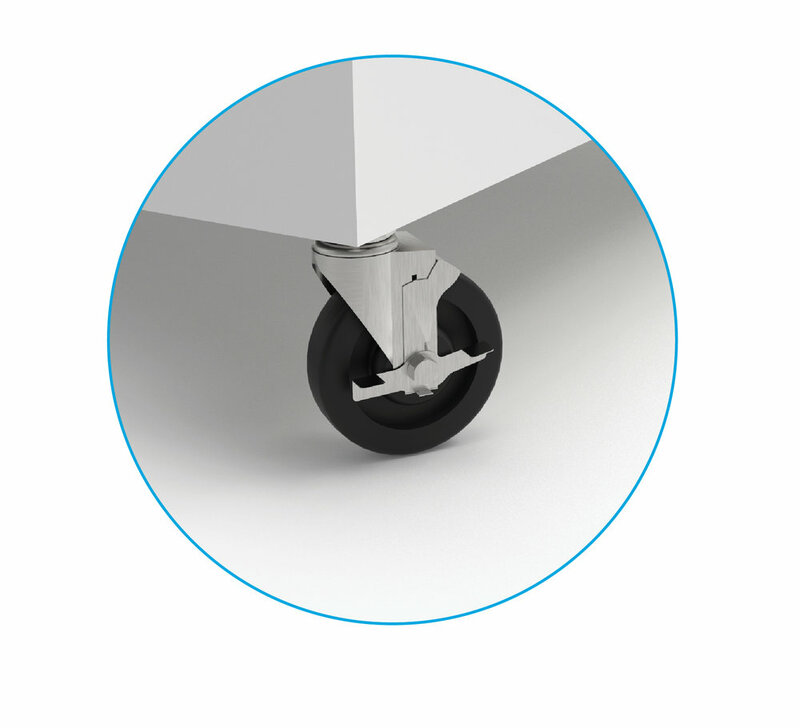 Mobilize sections of your kitchen by substituting in our heavy duty locking casters.